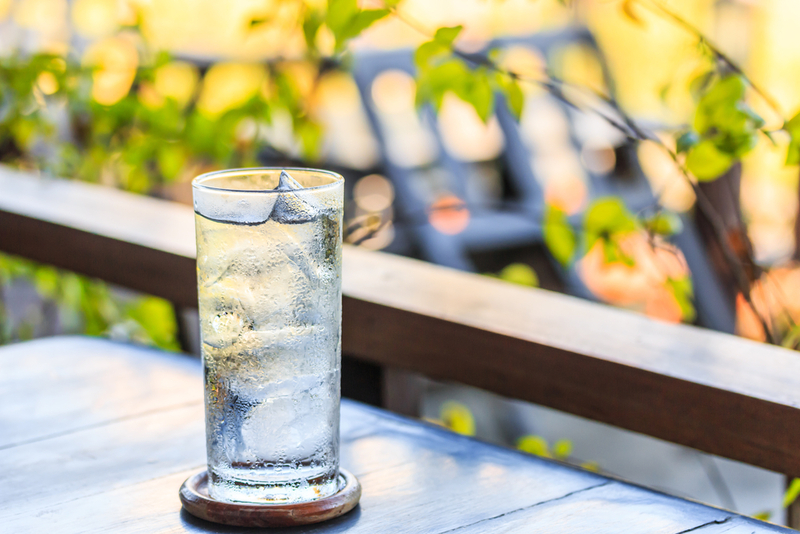 Free Water - What Does It Really Cost Your Restaurant's Bottom Line? There’s no such thing as a “free” glass of water. In fact, according to industry reports, the typical glass of regular tap water can cost over a dollar per serving. How? The glass has to be ordered, inventoried, filled and washed for each guest — up go labor costs. When a glass breaks, it must be replaced. The cost of dishwasher soap, dishwasher rental or depreciation, heat, gas and water — hot water to clean the glass and cold water to fill it — all add to the cost, too. The ice machine runs all day and the air around it must be ventilated — up go the water and electric bills. Finally, don’t forget…the guest is likely to ask for ‘extra lemons’ and then use a few sugar packets and make their own lemonade. Ouch! It stands to reason, then, if you haven’t correctly factored the cost of a glass of free water into your entree price, you’re losing serious bucks per day. Think about all those glasses of water on each table. It’s like placing a dollar bill next to each guest’s napkin. Share this information with your staff so they understand free water isn’t really free. Consider making it a policy never to have water on the tables unless a guest asks for it. According to restaurant surveys, when guests were seated at tables with table tents that stated “In order to conserve the earth’s natural resources, we serve water by request only”, only about half of them went ahead and asked for tap water. You’ll have saved about half the costs of those free glasses of water! In addition, think of the labor efficiencies when servers or service assistants are not having to constantly refill water glasses. If you do provide water to everyone, perhaps put a half-carafe of water on the table to at least save some of the labor required to refill glasses. We know what you’re thinking. Servers need to be able to provide free water to guests as a gesture of exceptional guests service. We’re not suggesting you stop offering free water. Just change your thinking about it, and train your staff to do the same. Offer your servers an incentive to take an active role in cost control. For example, encourage them to make up for the cost of free water by increasing check averages a dollar per person. With the right sales training, servers can cut costs and make more money for themselves and the restaurant. The restaurant management section of our blog is dedicated to helping you meet your leadership goals. Check it out!